At last count there were move than 1,000 "seed banks" established throughout the world. 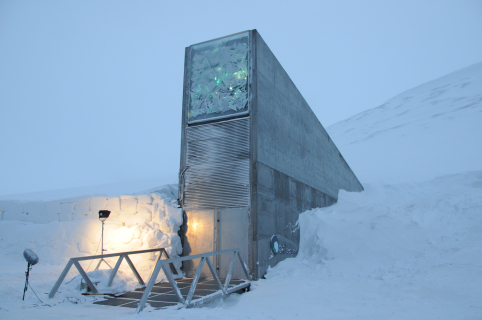 Among the most known is the Svalbard International Seed Vault, also known as the Doomsday Vault, established deep in the side of a frozen arctic mountain in Longyaarbyen, Norway, in 2008. Sadly, there has been an assumption that the northern arctic ice would remain intact, and the vault would always be a protected place. This may be changing because of a warming planet that is quickly melting the polar ice caps. Yes Jack Sprat, global seed banks have been established because a lot of people are hoping a few humans will survive what is about to befall the world. When the day comes that we need them, hopefully those seeds will be available and still potent enough to revive the natural world as it was in the beginning.